The Mission of the Department of Education is to prepare highly qualified professional educators and administrators through exemplary campus and distance based programs and field placements in quality public and private schools. 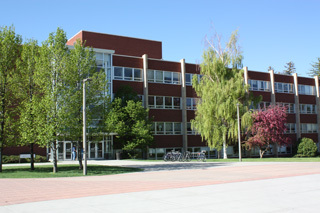 In addition, the department contributes to the state of Montana and the nation through the faculty's active research and outreach efforts. As the undergraduate teacher education unit, C&I provides programs in elementary and secondary education and works with other departments on campus in their teacher education majors and minors. Teacher education is situated within the unit of Curriculum & Instruction of the Department of Education, which is resident in the College of Education, Health & Human Development. The pre-service and in-service teacher education programs in the Department of Education have been designed to provide a rich, balanced education, firmly grounded in the liberal arts and contextualized in professional preparation coursework based on current educational theory and praxis. In addition to the coursework of the Department’s pre-service teacher education programs are the field experiences, which are carefully structured, graduated, and supervised. The integration of these two learning experiences allows students to develop and demonstrate the breadth of knowledge, competencies and professional commitment that empowers them to contribute and to lead in a dynamic professional environment upon graduation. C&I offers a masters degree program for advanced professional development for practicing teachers and other education professionals, and doctoral level programs for those preparing to teach in education departments at the university level. The program in Adult and Higher Education offers masters and doctoral level programs for those seeking careers in Higher Education or other post-secondary educational venues. The Educational Leadership program offers a masters level certification and degree program for the principalship, and a doctoral level certification program (Ed.D.) to prepare individuals for the superintendency. The Doctor of Philosophy in Education degree is designed for graduate students seeking faculty, administrative, or research positions in higher education or positions within research organizations that require educational research in highly specialized disciplines. This degree offers options in Curriculum & Instruction, Educational Leadership, or Adult and Higher Education.